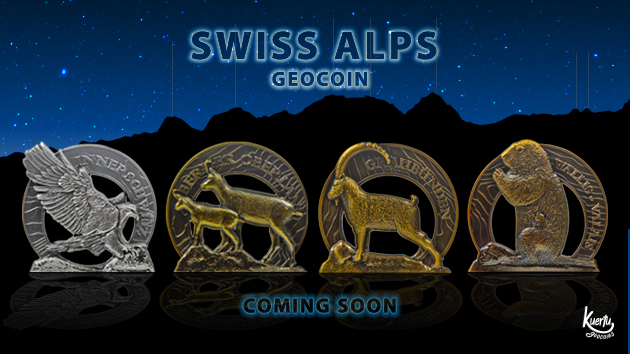 Now, the new limited Swiss Alps Geocoins are going to sale on 1st of Mai 2016 08:00pm CET. your order at the Mega Event Cacheland-Games in St.Gallen on the 28 of Mai at the stand of Kuertu. Please check the checkbox in this case during the order process. We are looking forward to seeing you at the stand of Kuertu at the Cacheland-Games. 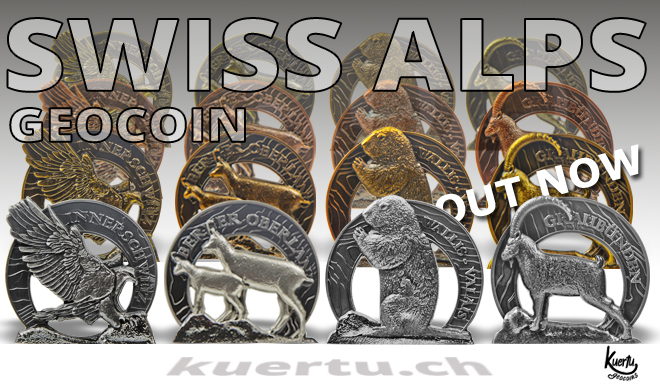 The Swiss Alps Geocoin is the newest creation from the Kuertu Geocoin factory. with the names and altitude. The special thing about the coin is, that it can stand. and then from 27 to 29 Mai 2016 at the Mega Event Cacheland-Games 2016. For the Mega Event in St. Gallen we will make a presale on the 1st of Mai. We looking forward to seeing you at our stand.